Dr. Robert Winebrenner is excited to come to work every day and make a difference in people’s lives by helping them achieve optimal oral health. He considers it a privilege to be considered a friend to many of my patients, and he does not take for granted the trust they’ve placed in him. Dr. Winebrenner is passionate about helping people, and feels eternally rewarded by seeing how happy they are with their results. 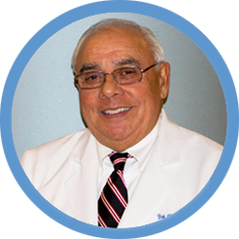 Dr. Winebrenner was born in Pittsburgh, PA and grew up in Baltimore, MD. In school, he always loved science and math. At an early age, he enjoyed building many airplane models and working on any projects using his hands. Needless to say, many years later this skill would become the center of his profession as a dentist. Dr. Winebrenner attended the University of Maryland at College Park, completing his dental program a year early. He then attended Baltimore College of Dental Surgery at the University of Maryland in Baltimore. Dr. Winebrenner joined the US Air Force, becoming an officer at Hill Air Force Base in Ogden, UT. Upon the completion of his assignment there, he returned to MD to enter private practice. As a continual student, Dr. Winebrenner takes numerous scientific continuing education courses and frequently attend workshops where he receives hands-on training in the newest in dental technologies and treatment methods. He does everything in my power to increase our patients’ comfort and decrease their time in the dental chair. My wife and I have loved living here in Hagerstown for more than 40 years. It’s been a great place to raise our three wonderful children. In my free time, I collect model trains, play with my dog Sophie, and enjoy reading history books, gardening, and playing golf. I love the beauty of Washington County and the yearly seasons we’re able to enjoy. Leonisha Thomas graduated from Howard University with a Bachelor of Science and received her doctorate from Howard University College of Dentistry in 2006. 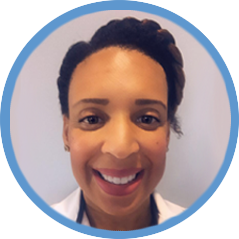 She then went on to complete a general practice residency at Lincoln Hospital in the Bronx, NY where she enhanced her clinical skills in all aspects of general dentistry including pediatric dentistry. She is the oldest of three children. Dr. Thomas joined the practice in June of 2012 and is dedicated to helping her patients experience a comfortable and friendly experience during their dental visit. In her spare time she enjoys hanging out with friends. She is a member of the American Dental Association and National Dental Association. Dr Thomas continues to strive for excellence by continuing her education to become the best Dentist she can be.